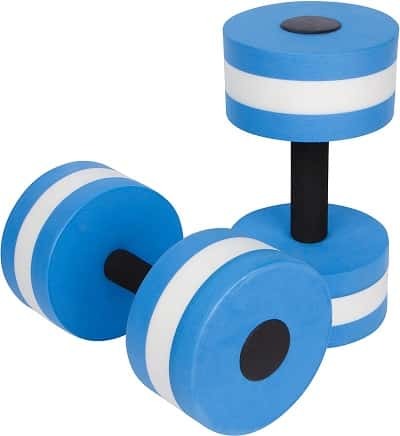 Ready to boost your water aerobic classes with a pair of water dumbbells? 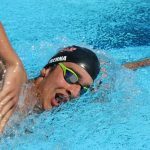 Here’s a quick breakdown of why they are so effective, as well as a list of the best water and aquatic dumbbells for working out in the pool. Water aerobics is a low impact and vigorous way to get a workout under your belt. Classes are held at local pools at various intensities, to high intensity music or low, quiet tunes, in big and small groups. 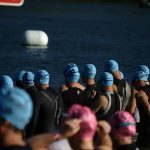 Water-based aerobics provide an opportunity to exercise in a low-impact environment, without the jarring impact that can be harsh on joints. 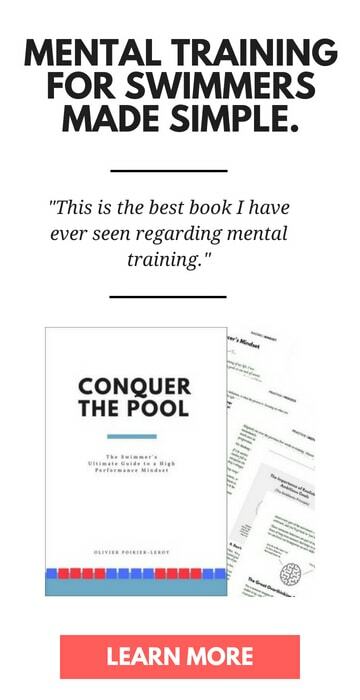 Although all you truly need is a swim-suit to hop into the water, there are some effective piece of water exercise equipment that you can use to boost the efficacy and enjoyment of your workouts. 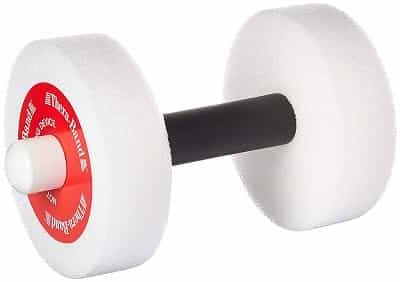 One of our favorites is the simple looking, but surprisingly difficult to use, water dumbbells. 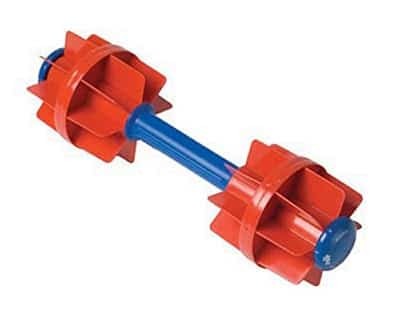 Water dumbbells provide a surprising contradiction when you compare them against their land-based counter-parts. 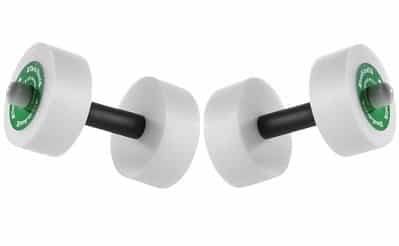 While they all generally take the same shape, water dumbbells are typically made of a quick-drying EVA foam that is super light. 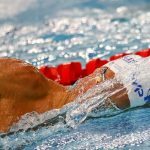 The way that aquatic dumbbells work is that they take advantage of the water’s natural resistance—nearly 800 times denser than air. 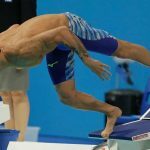 On top of this, aquatic dumbbells are extremely buoyant, which makes it challenging to keep them submerged, providing an added dimension of resistance. Water dumbbells are a killer way to get a great workout for those who want a strictly low-impact workout. 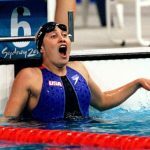 Even for seasoned lifters and exercise-enthusiasts, working out in the water with water dumbbells is a whole different animal. Whether it’s because you are coming off injury, simply want to mix things up, or take it easy on your joints, water dumbbells are awesome for working your back, shoulders, arms and chest, helping you get stronger and get in better shape. The function and form of water dumbbells are fairly straight-forward. Be easy to grip, be durable, and provide resistance! Here’s a breakdown of our favorite aquatic dumbbells for water exercise. Well-priced, simple and highly effective for crushing it in the water, the Trademark Innovations Aquatic Exercise Dumbbells take top spot in our little list of best water dumbbells. They are made of a long-lasting EVA foam that dries quickly between uses. They are 11” long, 6” wide and come in a whole bunch of colors (8 different colors last time we checked). You may be familiar with Theraband for their resistance bands and therapy tools. Turns out, they make a killer pair of water dumbbells too! 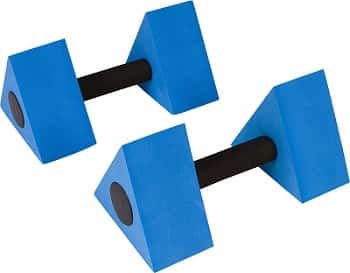 The Theraband Water Weights come in three different sizes, from small to large, with the biggest one (blue) being 15” in length, making it easily the biggest and most challenging dumbbell on this list. 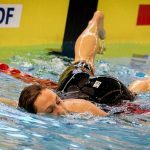 Kiefer is a well-known manufacturer of swim equipment, from kick-boards for swimmers to lane ropes. 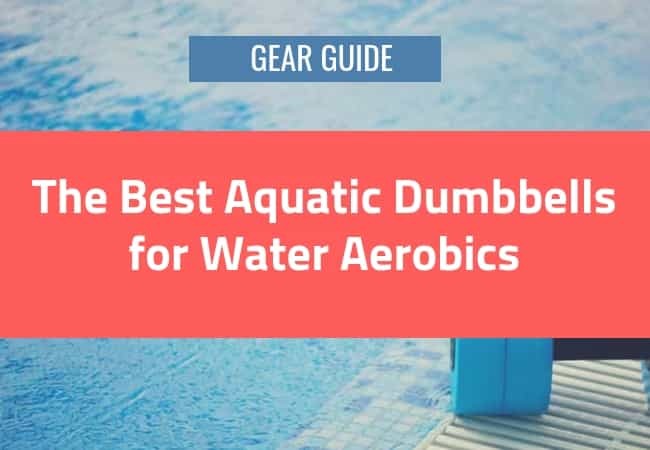 They also make some interesting water aerobics exercise equipment, and that’s why we included their water workout dumbbells in this list, even though they aren’t made of the foam that you see in the other dumbbells. If the Kiefer Water Workouts Dumbbells look like someone took two chunks of a competition-grade lane rope and made an aquatic dumbbell out of it… Well, that’s exactly what happened. 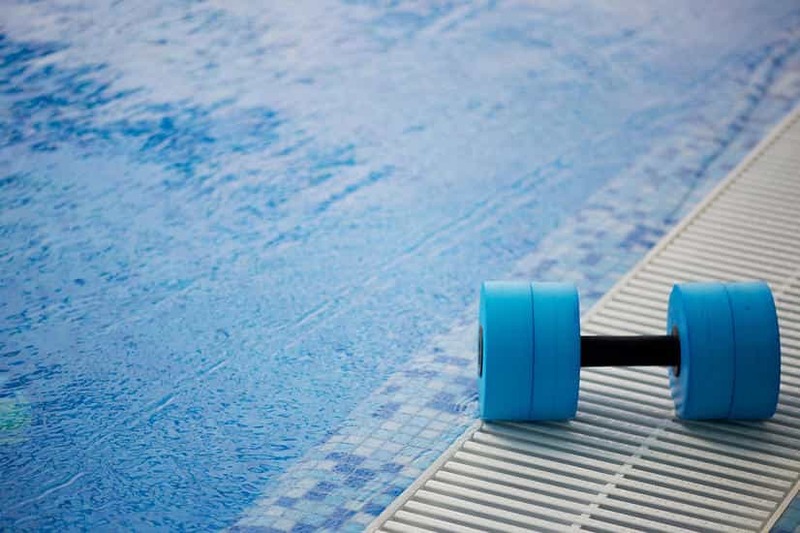 By taking floats from their Wave Eater racing lane ropes they’ve created a water dumbbell that is super light and also provides exceptional resistance under the water. You can level up resistance by filling the handle with water to make it more challenging on yourself. 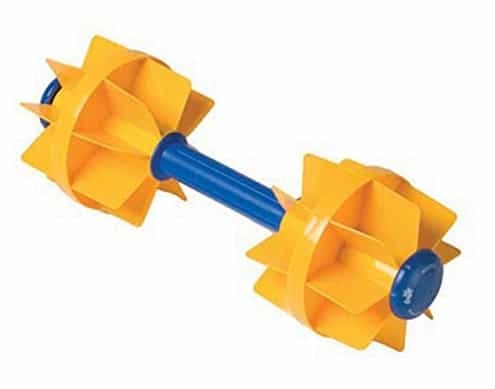 Another set of aquatic dumbbells by Trademark Innovations, the distinctive shape of the Triangular Aquatic Dumbbells make them easily stackable. 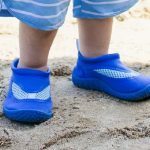 Like their circular cousins, they are made of the same long-lasting and quick-drying EVA foam that holds up well with consistent use in chlorinated pools. 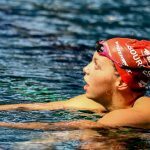 The shape also gives you a different sensation of resistance when moving them under the water, which helps target your upper body and core.